So you’ve just been hauled out of cryosleep, your quiet journey through space interrupted after a couple hundred cycles drifting along to a Better Place. Sorry, and welcome to the Persean Sector! You’ve got a lot of catching up to do. It may seem like a bit of a mess, but you should count your lucky stars: you haven’t been carved up for spare parts by some pirate! On a related note, you are going to need credits to put toward interest on the Recovery Installment Plan which has already been attached to your genecode, so let’s introduce the thought that you may indeed wish to sell a kidney, most of your liver, or a surprising amount of skin with very little harm to normal biological function – provided you pass the rad screening, of course. You don’t have to answer now, we’ll give you a bit to think it over. In the meantime, we’ve prepared a little primer to help catch you up on what’s been going on in the local volume. Your eye movements will trigger text navigation so you don’t have to move your variably atrophied limbs – hope you didn’t go with the cheap model cryotank! Sit back, and please pay attention. We have good statistics which demonstrate that a steady grounding in the present historical context helps cryo-recovered subjects re-integrate with society in 78.3% of cases. “Then, in fits and starts, humanity lifted itself on flimsy hand-engineered craft set atop crude explosives. In the planets and moons above they found unimagined wealth, and with it built the first cities and ships worthy of those names. They looked out to the stars beyond and wondered what could be there and who would be the first to go. “Nothing was restrained that could be imagined; those journeys of years through the holy void were eluded by trespass into hyperspace. The KL Device was not the first human sin against God’s law of causality, but it was the greatest, for it opened wide the unholy road. The vast domain of Humanity was united in this molochian pact: The Gate-haulers opened the way to each colonized system then, by pen or by sword, the onslaught of the Domain’s vast armada subjugated each world. The far end of cycles of war and occupation found the edge of the colonized Hyperspace Expanse. But this was not enough for the Domain, driven as it was by a spirit of conquest to never be sated. This infernal mechanization lusted on for celestial spheres beyond, and beyond, and beyond; it would never stop devouring God’s creation. Third wave of autonomous exploration motherships, sporeships, etc. dispatched. Includes the Gate Haulers of legend, which spread nodes of the Gate network. The Innocence: The birth of the one-who-will-become-Ludd. Themes of innocence, connection the humanity pre-sin. It is important that the Luddics make no record of any personal characteristics of their prophet and in so emphasize the-one-who-would-become-Ludd’s oneness with the experience of all humanity. This allows any individual to put themselves into the role of Ludd in the stations of the Path, as subject or observer. The Witnessing: The one-who-will-become-Ludd leaves a sheltered existence and witnesses the misery of the world. Figures encountered include some combination of: a starving child ignored in the street, a plant growing from a crack in the deck-plates, a radiation-burned veteran abandoned by the Armada, a penniless merchant used by his partners, a world allowed to choke on ash by those who care only for the moment, a scholar who found truth scorned by the prideful, a criminal condemned despite her repentance, etc. The Teaching: In which Ludd starts spiritual “clubs” for those who “seek galactic redemption”. The First Persecution: In which Ludd is mocked, then physically attacked, then hidden from prosecution by followers. The Blooming: In which the faithful teach the industrial-terraformers how to shepherd the spirit of the land to create a new paradise. The Second Persecution: In which the followers of Ludd again face hardship and persecution at the hands of authorities in the Persean Sector. The Trial: In which Ludd is condemned to die by the Domain Sector-leader. The Gate Network instantly ceases to operate within volume of information available to human civilization in the Persean Sector. This collapse is allegedly concurrent with the transfer of a prisoner named “Ludd” via Gate Network. The veracity of this claim is much disputed. Battlegroup XIV, including elements of 200th Legion (disgraced after a series of mutinies while deployed against rebels), was cut off from the Gate Network at a transfer point in vicinity of Persean Sector. Enacts network failure protocol: most of the crew is put into emergency cryosleep, many units jury-rigged, and the ships make the hyperspace journey toward the closest civilized volume. 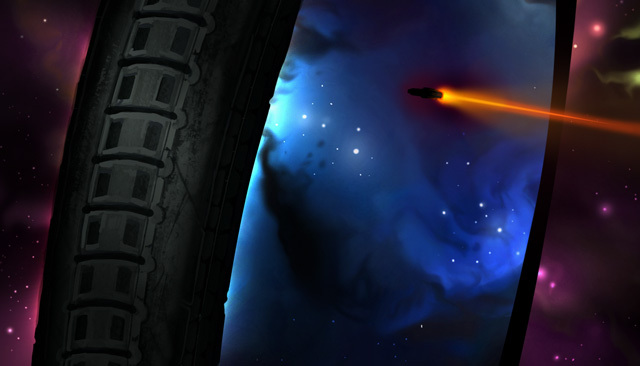 Civilian ships and outposts encountered en-route are stripped of fuel and supplies. Many core fleet elements must be mothballed or abandoned. Remains of various megacorps are cut off in the Persean Sector. Some are established and flexible enough to rebuild a command hierarchy (Tri-Tachyon, Ko Combine, HG Autofab, Bhilai Space Group). Others collapse as local oligarchs carve out fiefdoms, workers abandon their posts, or other polities seize assets; examples include Eridani-Utopia, Altair Exotech, Fabrique Orbitale, Interstellar Dynamics, and others. The Church of Galactic Redemption arose out of a compromise between a handful of the largest sects of faithful who agreed that worldly organizations were necessary to uphold the teachings of Ludd. The Knights of Ludd were formed as a monastic military branch of the Church intended to temper secular wrath with spiritual virtue. Many sects remain outside the official Church including the infamous loosely associated “Luddic Path”. XIV Battlegroup claims military authority to seize supplies necessary for its operation. In cooperation with “native elements”, a legal framework is laid for the polity known as the Hegemony and is declared a successor to Domain authority in a ceremony held on Eventide. Hegemony attacks Mayasurian Navy. Hegemony is victorious and takes control of Mayasura system. Due to lack of Domain technology controls and rising tension in the Persean Sector, Tri-Tachyon acts with free hand to deploy AI warfleets developed in secret in various systems on the fringe of the Core Worlds. Hegemony declares intent to enforce Domain-era restrictions on AI development against Tri-Tachyon. The Persean League sides with Tri-Tachyon, the Luddic Church sides with the Hegemony. War engulfs the Sector. Terms of surrender involve acceptance of technological inspection by Hegemony (with support of Luddic Church). Much of the irreplaceable XIV Battlegroup matériel was destroyed in this war. Similarly, much of Tri-Tachyon’s infrastructure is devastated – or dismantled in the post-war settlement. c+95-107 – Joint Hegemony/Knights of Ludd fleet operations sweep autonomous AI from fringe systems until partnership agreement breaks down. c+107 – High Hegemon declares victory over the AI threat. Persean League sends fleet to intervene in Luddic revolution in Zagan system. Successfully defeats Knights of Ludd / Pather fleet. Rogue fleet of former Domain military warships under command of Onesimos Loke enters Persean Sector after raiding fringe worlds. Scores major victory by catching Hegemony taskforce unaware in Penelope’s Star. Originally a Hegemony logistics officer, Colonel Kanta cuts a deal with Loke to turn the Hegemony base in Guayota’s Disk – and its arsenal – over to the pirate warlord. Much glory earned by the young and upcoming Hegemony officer Andrada in the Battle of Maxios. Hegemony policy promotes hero-worship as means to unify population. Once it’s clear how the tides are turning, Colonel Kanta turns again, spaces the Loke loyalists left on her station, and sets herself up as a pirate Warlord over the remains of Loke’s fleet. Local politics (and heavy weapons) make it inconvenient for the Hegemony to clean out her operation. She proceeds to build alliances and puts herself at the head of a dynasty of pirates and organized crime spread throughout the local systems. Civil war breaks out in Askonia system. Ostensibly over domestic issues, flashpoint occurs around Persean League membership consideration, but much outside interference as well. 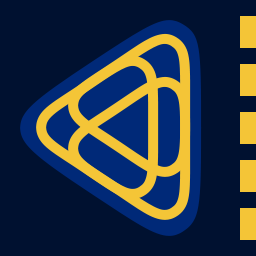 Askonia is powerful independent system considering League membership to shore up domestic support in face of ongoing civil war. Hegemony moves to counter expansion of the Persean League by intervening. The moon Opis, capital and population center of the Askonia polity, is destroyed by a Planet Killer. Andrada blames rebels, rebels blame Andrada, other rebels blame each other, others blame outside agents. The Hegemony executive council considers Andrada’s actions erratic and ill-judged, issuing a recall order which he ignores, declaring it “weak-willed treason”. Phillip Andrada starts purges throughout Askonia system, declares himself executor-for-life aka Diktat Executor over new polity formed from the Hegemony intervention fleet. Most of the Hegemony task force declares for Andrada – Hero of the Battle of Maxios – while a minority remains loyal to Hegemony and a smaller minority joins the Askonian rebels. 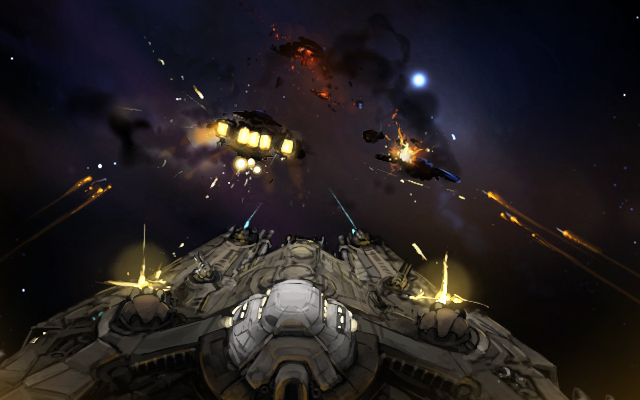 A chaotic battle breaks out in the Hegemony armada in orbit around Sindria with fighting both in ship corridors and between ships of the Hegemony fleet. 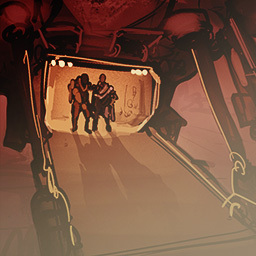 With Hegemony weakened by fallout from the Askonia Crisis – loss of fleet, loss of standing, loss of stability in officer corps, CEO Artemisia Sun uses tech inspection negotiations to instigate casus belli. Also known as the “Hana Pacha Atrocity”. Neither Hegemony or Tri-Tachyon claims responsibility. Diplomatic fallout leads to temporary cease-fire, diplomatic talks. Hegemony war efforts suffering under logistics attacks; using peace talk cease-fire to resupply. Tri-Tachyon uses advanced raiders to covertly attack logistics fleets. Hegemony surprises raiders with special anti-raider patrol in Valhalla system. Tri-Tachyon mercenaries raid Hegemony logistics. Raid is successful and Kane Gleise captured by Tri-Tachyon. Raesvelg blockaded by Tri-Tachyon Corporation. Hegemony forces and mercenaries relieve Raesvelg successfully. Hegemony interception of Tri-Tachyon carrier detachment sent to reinforcement Raesvelg following the setback in “Dire Straits”. Kane Gleise was released during prisoner exchange, now commands Onslaught-class battleship “Bismar”. Gleise defeats Tri-Tachyon ambush, but is defeated in follow-up battle by advanced Tri-Tachyon recon detachment. Hegemony imposes additional war taxes onto civilian administrations, massively funds fleet-wide upgrades and additional mobilization of auxilliaries. Galatian Academy sponsors independent expedition to Tia-Tax’et, accidentally discovers secret Hegemony base refitting hulk of Bismar to renamed HSS Phoenix, and is wiped out by the Hegemony fleet. Shake-up of Tri-Tachyon leadership leads to major change in strategy. Tri-Tachyon battleship holds off Hegemony Defense Fleet to cover retreat of remaining Tri-Tachyon forces, including phase cruiser with planet-killer device. Allows Tri-Tachyon to remain power in Sector, though diminished. CEO Artemisia Sun returns to lead Tri-Tachyon after the “new guard” executives are completely disgraced. Hegemony prestige is renewed and new faces enter the ranks of executive council membership. “Between our contractor’s inexperience and the updated intel on the Kanta front, this deal is looking worse all the time. You say, why don’t we pull out now? And I say: think of the penalty clause on the outfitting, to say nothing of the mercenaries. We don’t want to spoil that relationship. So consider: if we run the numbers even a failure can result in a net-zero operation provided the insurers don’t know that we know about Ibrahim’s little exaggeration – then if the mercs don’t make it out, that takes care of it itself. This entry was posted on Wednesday, August 16th, 2017 at 11:50 am	and is filed under Lore. You can follow any responses to this entry through the RSS 2.0 feed. Both comments and pings are currently closed.